Private SDSL Skate Lesson with Exposure Skate! We are so excited to present a private skate lesson with Exposure Skate! No matter your level please join us for some skill building, support, and laughter. Bring your own skateboard + pads or use those provided for the day at the clinic. Cost is $25 for skills you can use the rest of your life! Payment details to follow once we have enough people sign up. I can't wait to skate with all of my seasters! Paddle out and join us for an Beginner/Novice lesson with Fulcrum in Del Mar. Fulcrum surf coaches will help you catch waves and cover the basics. PLEASE read the policy info below and contact me directly if any questions. Beginner/Novice* – ability to paddle to the outside of the break and stand/pop up on waves is required. The member must have their own board. This session is for the novice surfer who catches less than 50% of her own waves and needs assistance with timing, catching waves, turning, turtle rolls and duck diving, etc. Each Sport session is $10 per member. The session is limited to 10 participants. Payment must be received when you register to secure your spot. PayPal is the preferred payment method and will secure your spot immediately. No payments will be accepted the day of the event. If a member cancels anytime before the event and the coordinator cannot find a replacement, the member’s $10 fee will not be refunded. If the coordinator can find a replacement, the fee will be refunded. April Shaka (South) is OPEN for registration! Tuesday, March 26, 2019 SDSL Shortboard Shredders! Tuesday, January 29, 2019 SDSL Shortboard Shredders! Saturday, October 27, 2018 Annual Halloween KOOKtacular! 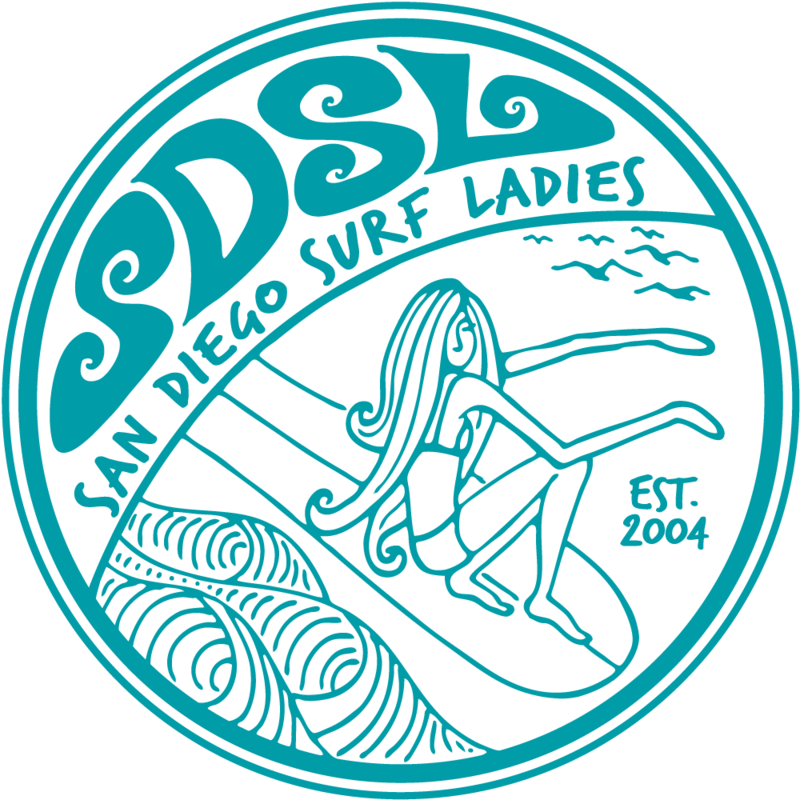 Tuesday, October 16, 2018 SDSL Shortboard Shredders! Wednesday, September 26, 2018 SDSL Team Shredders! Tuesday, August 21, 2018 SDSL Team Shredders! Saturday, July 28, 2018 SDSL Team Shredders! Monday, June 25, 2018 SDSL Team Shredders! Wednesday, May 23, 2018 SDSL Team Shredders! Tuesday, April 24, 2018 SDSL Team Shredders! Sunday, March 11, 2018 Team Shaka Surf Session - North. Wednesday, June 28, 2017 Member Surf and Beach Clean Up and Meet Up at Union Tap! Saturday, January 14, 2017 Holiday Party, Monthly Meeting, and Gift Exchange! Saturday, May 21, 2016 San Diego Film Festival Movie Night! Saturday, May 21, 2016 Fin Demo Session! Sunday, January 17, 2016 Holiday Party, Monthly Meeting, and Gift Exchange! Saturday, October 24, 2015 Baja Mexico Surf Trip - SOLD OUT! Sunday, September 27, 2015 SDSL End of Summer Beach Party! Wednesday, June 24, 2015 Monthly Club Meeting at Shaper Studios! Wednesday, April 22, 2015 1Bag1World Earth Day Celebration! Wednesday, March 18, 2015 Monthly Club Meeting at Shaper Studios! Saturday, February 07, 2015 Post-Holiday Holiday Party and Gift Exchange! Saturday, September 20, 2014 Monthly Member Surf - this one is a sunset surf! Saturday, September 13, 2014 Accidental Icon: The REAL Gidget Story," Documentary Screening and Celebrity Panel event! Thursday, September 11, 2014 Monthly Club Meeting at Shaper Studios! Saturday, September 06, 2014 SDSL End of Summer Beach Party! Saturday, June 07, 2014 SOLD OUT! Baja Mexico Surf Trip Numero Tres! Wednesday, May 07, 2014 Monthly Club Meeting at Shaper Studios! Saturday, March 29, 2014 SDSL Sport - Surf Session - Beginners! Thursday, February 20, 2014 Monthly Club Meeting at Shaper Studios! Saturday, February 15, 2014 SDSL Sport - Surf Session - Beginners! Sunday, December 01, 2013 Monthly Club Meeting at Shaper Studios! Saturday, November 16, 2013 SDSL Movie Night! Saturday, November 16, 2013 SDSL Sport - Surf Session - Beginners! Saturday, February 02, 2013 SDSL Sport - Surf & Video Session Level 1-5 with "2" Fulcrum coaches! Monday, July 16, 2012 Boardshorts Festival/Anniversary Party Brainstorm! Saturday, March 31, 2012 SURF JAM and Team Carnage!!! Sunday, March 25, 2012 Team Waikiki Surf Session- Note that this event will be cancelled if it rains. If no rain, we are on! Sunday, February 12, 2012 Team Waikiki Surf Session (This event has been CANCELLED due to poor conditions being reported -High Wind, Shoulder to OH in size and strong rip currents). Saturday, January 14, 2012 Team Carnage and Surf Jam! Saturday, September 24, 2011 100 Wave Challenge! Catch a ton of waves and help a worthy cause! Wednesday, August 31, 2011 Great oppertunity to share our aloha! Volunteer for STAR/PAL’s Annual Surf Clinic! Tuesday, June 21, 2011 SDSL Sport - Surf Fitness and Video Analysis! Saturday, May 14, 2011 Fun Surf Session - Meet up with Wahine Kai Surf Club!!! Saturday, May 07, 2011 Fun Surf Session - Seaside Board and Wetsuit Demo! Saturday, April 30, 2011 7th Annual Anniversary Party - A Mexican Fiesta! Saturday, April 16, 2011 SDSL Sport - Surf Session - Presurf YOGA! Sunday, February 20, 2011 SDSL Sport - Surf Fitness and Video Analysis! Sunday, November 21, 2010 SDSL Sport Surf Session - Sunday Nov 21, RAINY DAY SCHEDULE! Monday, October 18, 2010 SDSL Sport Session and Video Analysis! Monday, September 27, 2010 SDSL Sport Session and Video Analysis! Saturday, September 25, 2010 Monthly Membership Meeting and New Board Elections! Monday, August 23, 2010 SDSL Sport Session and Video Analysis! Sunday, August 01, 2010 SDSL Sport Session and Video Analysis! - Note New DATE! Monday, June 21, 2010 SDSL Sport Session and Video Analysis! Monday, May 17, 2010 SDSL Sport Yoga Session and Video Analysis with Dan! Saturday, April 24, 2010 SDSL Surf Garage Sale – Proceeds Benefit SDSL and the Encinitas Boys and Girls Club! Monday, March 22, 2010 SDSL Sport Fitness Session and Video Analysis with Dan!